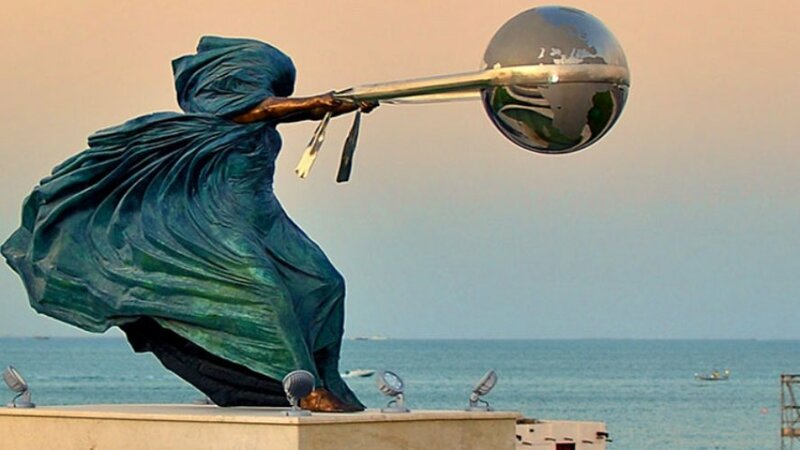 15 Amazing & Beautiful Sculptures That Will Make You Question Reality! Art and design have always been a thing of beauty. You can go as far back in time as you like (not literally, obviously, I wish!) and you will find an art movement which more than likely would cause waves at that time. However, modern-day art and sculpture can do even more than that nowadays, and thanks to advanced technology, techniques and materials, they can push boundaries like never before! 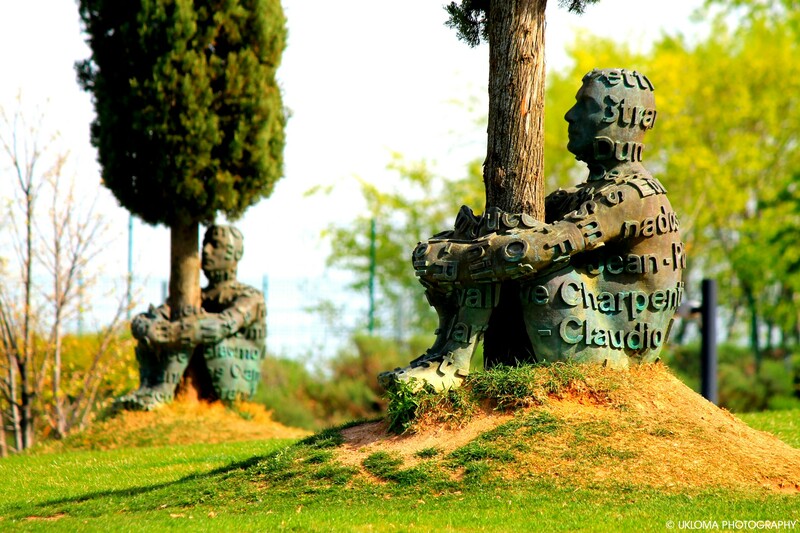 So, we’ve compiled a list of 15 of the most astonishing and amazing sculptures from around the world, that could literally turn your reality inside out and make you question the reliability of your life, the universe…and your eyes! Pretty amazing sh*t, eh? Get ready for a stunning reality trip! This stunning, eye-opening structure is depicting two huge, dramatic hands emerging from the Grand Canal and is trying to save Venice from drowning. The sculpture was meant to attract more attention to the problem of climate change than anything else, which is pretty amazing in itself, but I just think this is absolutely mind-blowing to look at either way! These are a collection of gravity-defying sculptures, that show women rotating the Earth with pieces of cloth. An amazing depiction of Mother Nature here, I think, and let’s face it, the world really wouldn’t go round without her! No, it’s not photoshopped, nor are you coming down with a fatal, eye wasting disease! 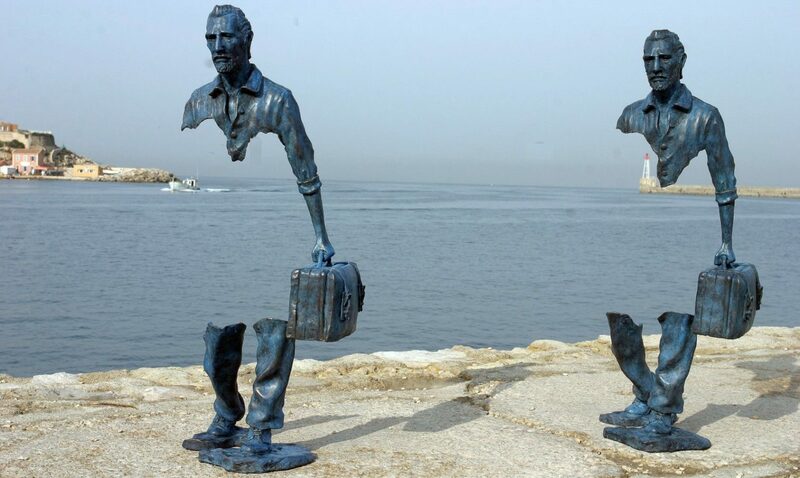 These stunning, trippy sculptures are part of a series by Catalano, which depict figures that seem to be slowly fading away! I don’t know about you guys, but I can’t take my eyes off them! This stunning sculpture is an installation by Kalina, consisting of 14 figures which are located in Wrocław, Poland. The centre figure of the installation is a woman surrounded by the members of her family, some of which emerge from the ground. I feel that it’s obviously a depiction of a strong family bond and is showing that at the centre of every strong family, is a loving Mother. Although I suppose you could make your own mind up about this depiction, as most people do with art, as that’s the true beauty of it, I suppose, it means something different to everyone who views it. 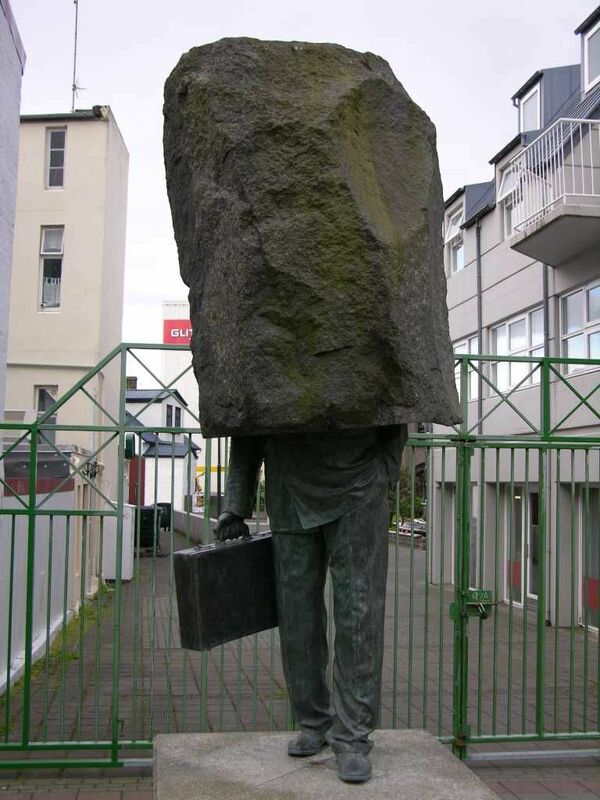 This interesting (and slightly painful looking) sculpture, sometimes also goes by the name of The Unknown Bureaucrat and is located in Reykjavik, Iceland. It’s an amazing piece of art, but I can’t help but think ‘ouch!’ when I look at it! 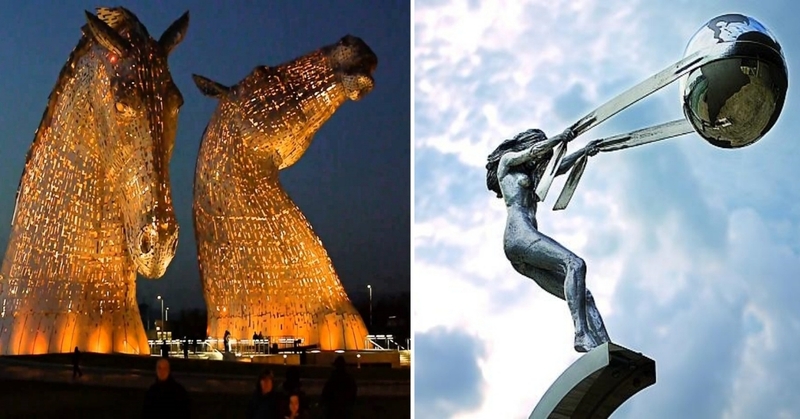 Boasting the title of the world’s largest Equine sculptures, these astounding pieces of artwork are breathtaking! I’m astonished by just looking at the picture! Imagine being stood right next to these big beauties!? 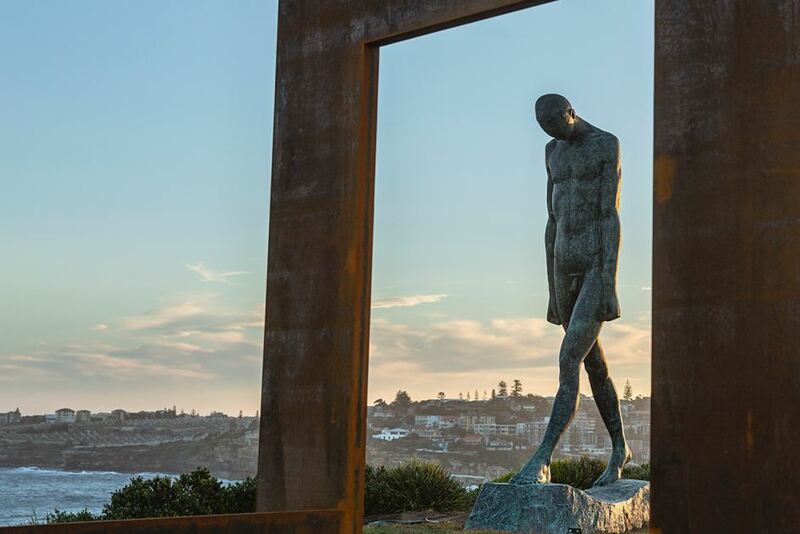 This enormous piece of artwork was made as part of ‘Sculptures by The Sea’ in Bondi, Australia! It’s stunning, yes, but it’s giving me vertigo just looking at it! This huge, bronze, marble, and stainless steel spidey is located at the Guggenheim Bilbao Museum. Now, I don’t mind spiders, but I think that this is enough to give anyone nightmares, isn’t it really!? Yikes! 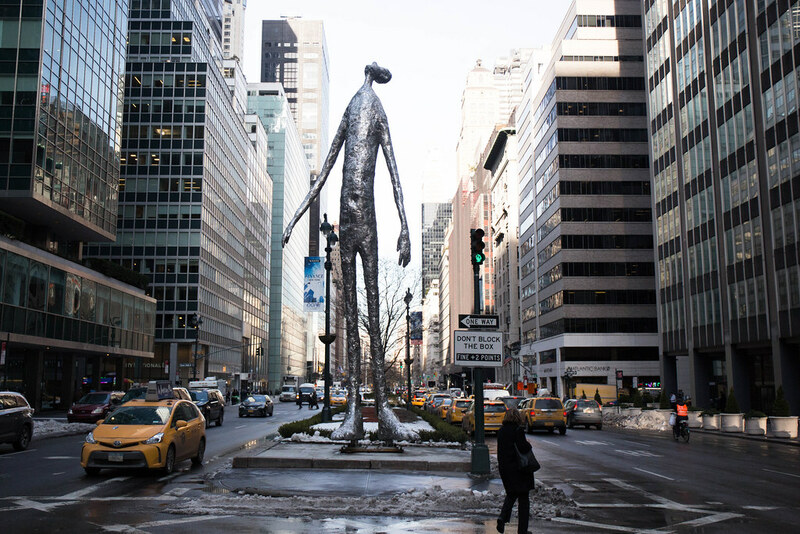 This surreal-looking fella is a 33-foot stainless steel sculpture by Friedman, which is located in Austin, Texas, and apparently, he is a perfect example of monumental contemporary art today. He looks a bit scary to me, I hope he’s friendly! 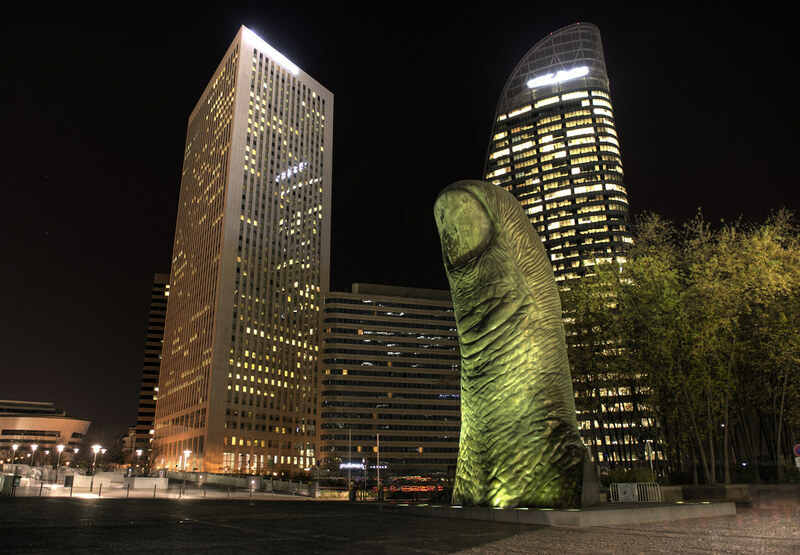 Le Pouce is a huge, realistic, sinister looking thumb which is located in Paris, France. It’s more than 40 foot tall and weighs more than 18 tons! Wow! I’m just imagining that there’s some giant somewhere, that has had a very nasty accident. 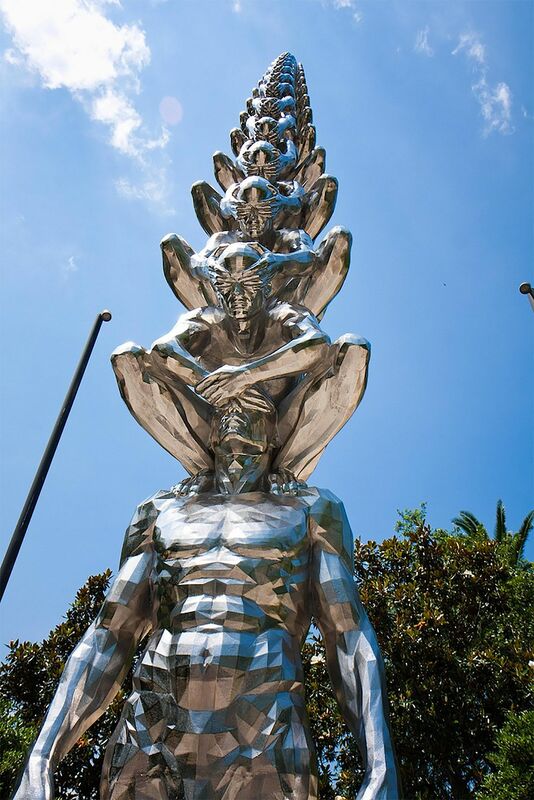 This huge, dramatic piece of artwork, which consists of male figures resting at each other’s shoulders and blinding each other with their hands, is located in New Orleans. Surreal yet stunning! 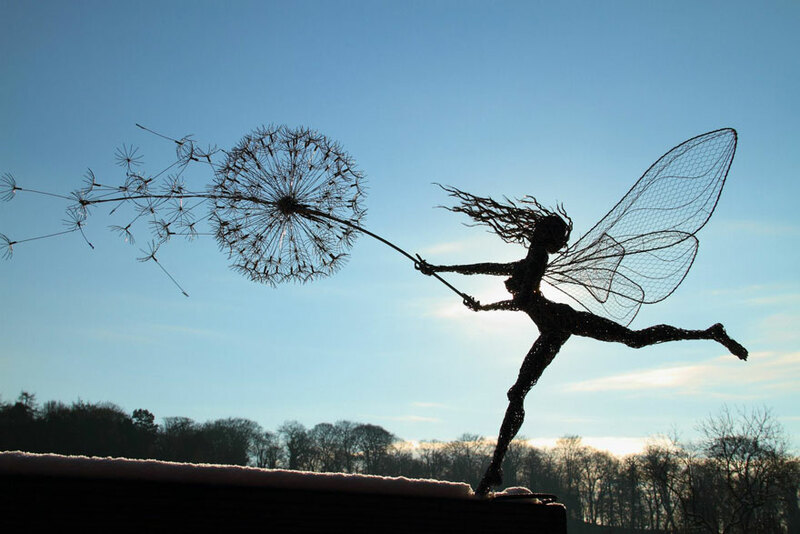 Wight has managed to create a series of amazing, light and airy sculptures that look almost weightless! It’s hard to imagine that they’re made of solid steel wire that probably weighs a ton! It just looks like it could blow away on the breeze! Amazing! 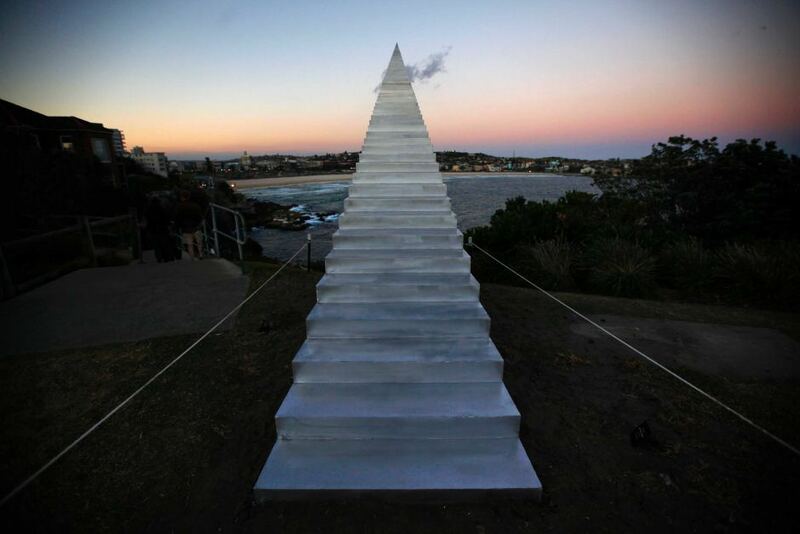 This dream-like staircase is located in Bondi Australia! Doesn’t it just look like this thing could take you straight up to the heavens!? Absolutely stunning! 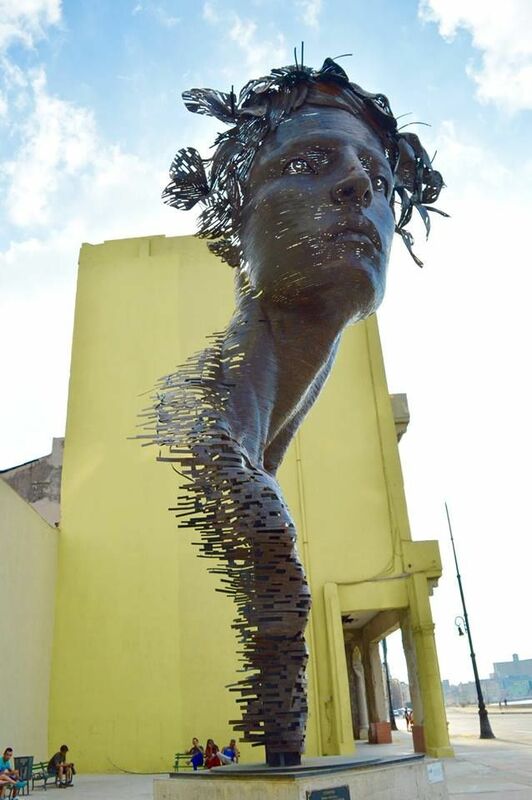 This huge, stunning creation was made to celebrate the power of Cuban women. The feminine beauty of this stunning piece of artwork was inspired by Cuban ballet dancers.